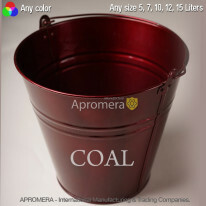 Apromera-produced Coal Buckets are very important household articles. Their value is not to be doubted because they not only provide a safe heater using but also guarantee the safety of the entire house, property and the owner’s welfare. 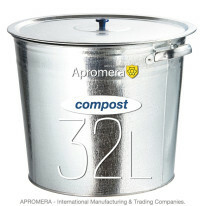 The container is made from galvanized steel of 0.45-0.50mm thickness. 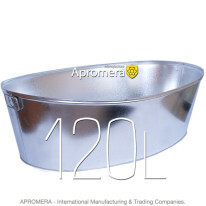 This material is known to be fireproof and is intended for hot coals treatment, it provides the highest fire safety of your hearth and the surrounding space. 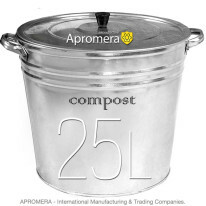 This container will also help to keep the fireplace area clean and tidy. 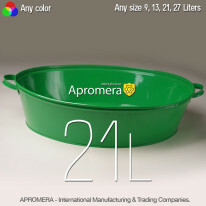 Their stylish, beautiful design will ideally complete your fireplace and the interior of the fireplace room. 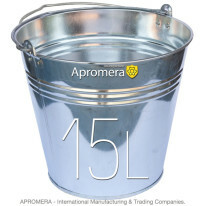 This product is very popular in Britain (UK). Coal Bucket simultaneously performs two roles: a functional one and an aesthetic role. 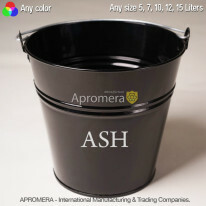 From a functional point of view, these containers are absolutely essential, because they solve the problem of coal storage as you are always sure to have at hand the necessary amount. What is important, rotten wood off them does not stain the floor and carpet at home or at the cottage. From an aesthetic point of view, this capacity is good for the fireplace as it alone can brighten up any living room. Moreover, this will complete the fireplace and will serve as a separate decoration.